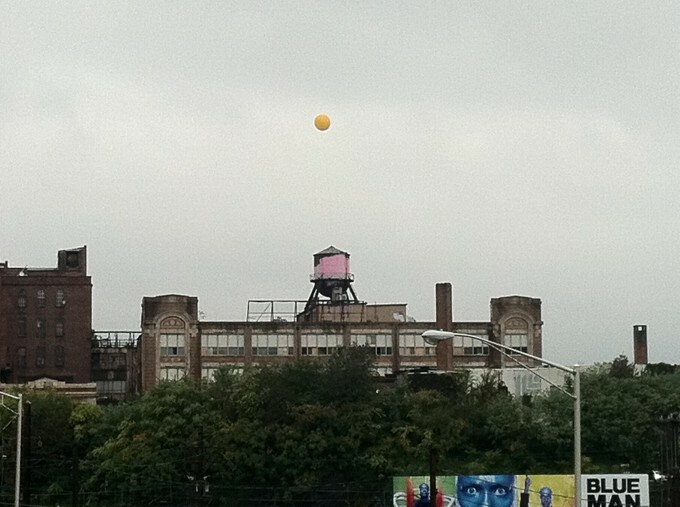 The yellow balloon spent a week towering above the city from the Lebow Factory Building, home to the new Baltimore Design School. It really was beautiful coming right out of the water tower. It was best seen driving on 83 or heading north out of the city. It then spent its last days at the Ziger/Snead office in Mt. Vernon. November 8th, 2010 at 7:16 PM. 1 Comment. Share this post. 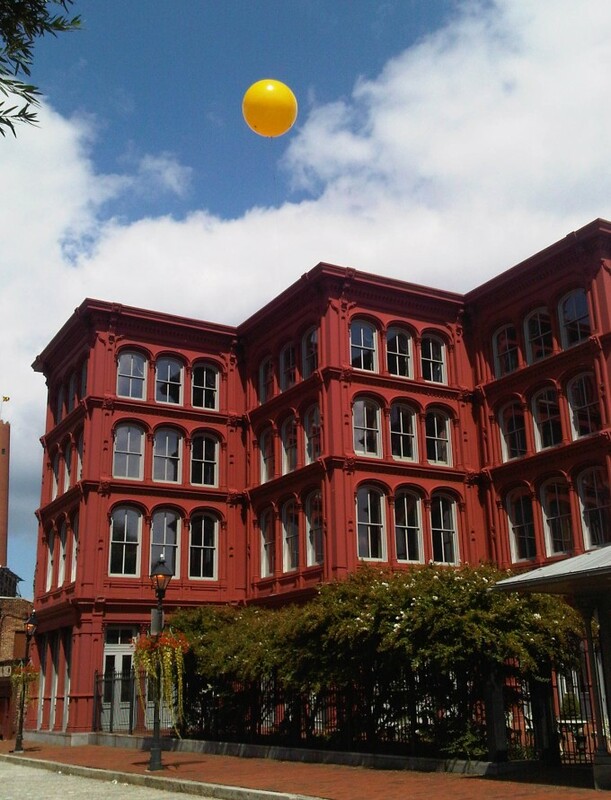 The Yellow Balloon made its way back to where it started more than a month ago, landing today on the Trahan, Burden & Charles building at Charles and Chase St. It's around the corner so I was able to get some great shots of it making its way up to the roof. Notice the "band aids"? It's been a long month for this balloon! Zach takes the balloon for a walk. October 13th, 2010 at 3:17 PM. 0 Comments. Share this post. 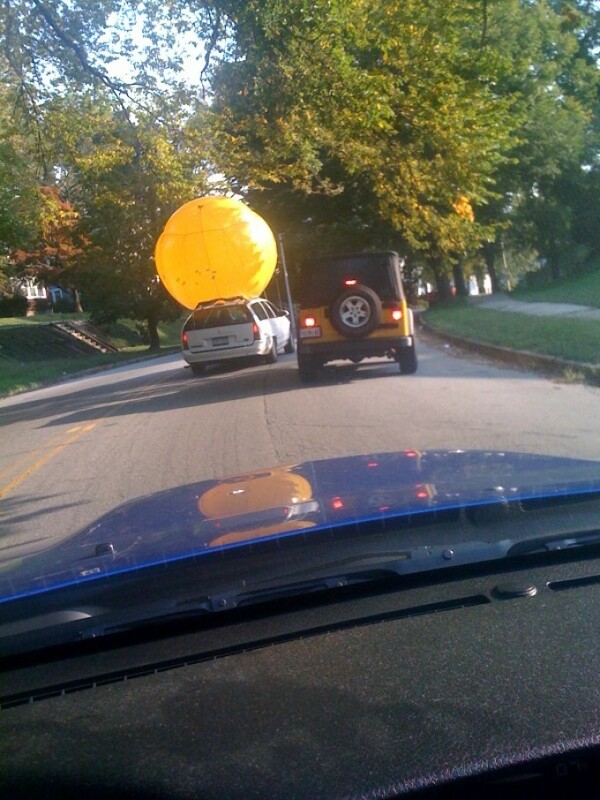 Ever wonder how the yellow balloon gets from one project to the next? These amusing photos were snapped by a Z/S'er on the way in to the office yesterday. "Not a typical morning commute," he said. The system is beautiful when you see it up close. October 13th, 2010 at 9:22 AM. 0 Comments. Share this post. October 12th, 2010 at 11:34 AM. 0 Comments. Share this post. 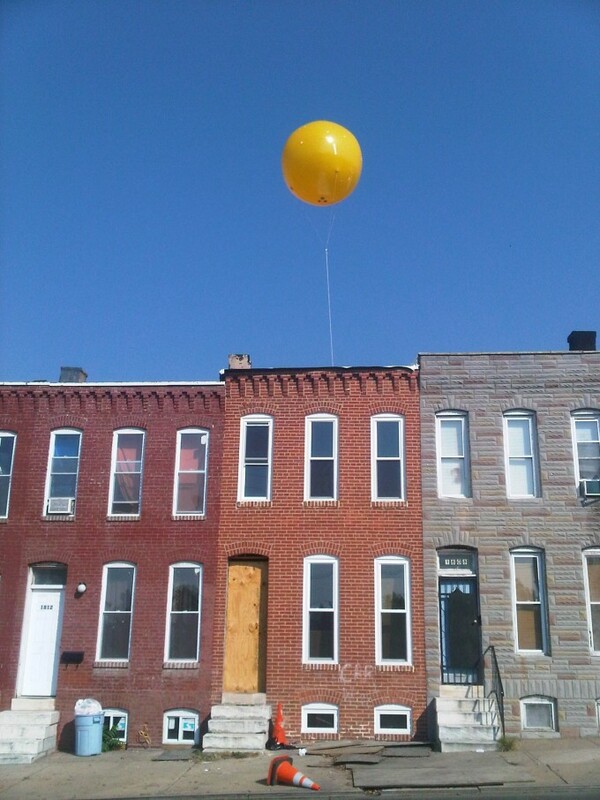 The Yellow Balloon (the backup one with many patched holes) is still flying. Yesterday it soared high above the Friends School of Baltimore campus which Ziger/Snead master planned as well as designed the Middle School and Upper School and the new Dining Hall. It then spent a day in the park at the Outward Bound Center bridging the space between historic and new. October 11th, 2010 at 4:03 PM. 0 Comments. Share this post. 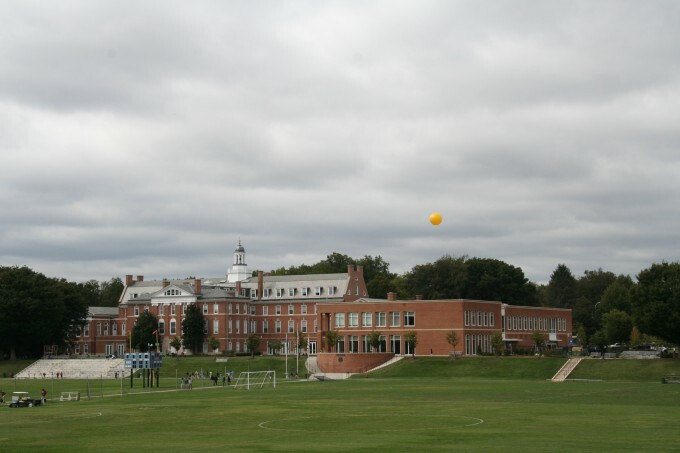 At Gilman School the balloon flew high above the new addition, visible from most of the large campus and surrounding area. 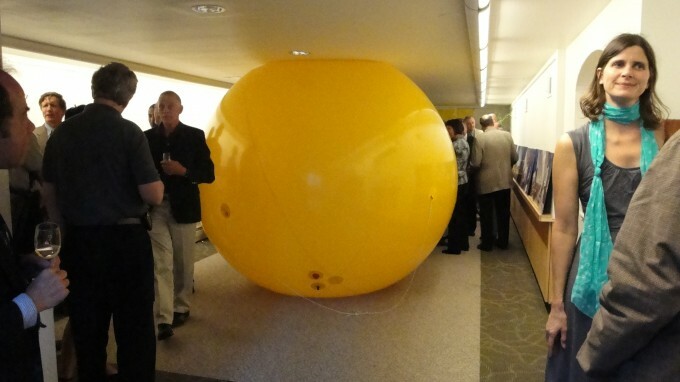 The yellow balloon was prominently situated above the steps at the Diocesan Center. October 8th, 2010 at 1:46 PM. 0 Comments. Share this post. 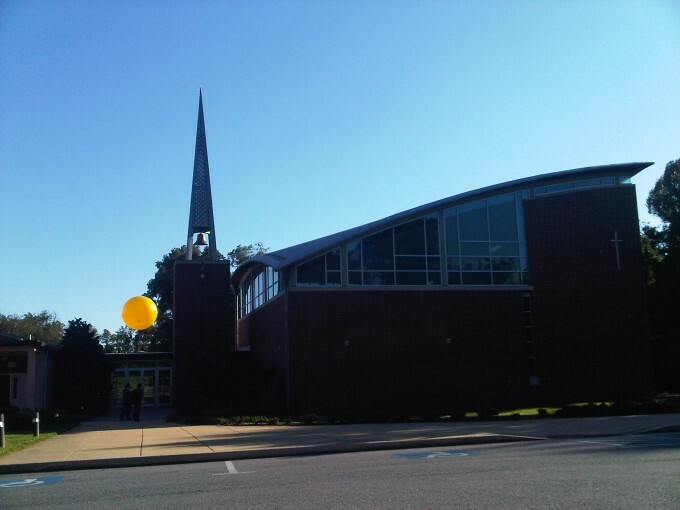 The Yellow Balloon spent the weekend at the Brown Memorial Woodbrook Presbyterian Church. Have you seen it? What do you think? Have pictures? Send them to us. 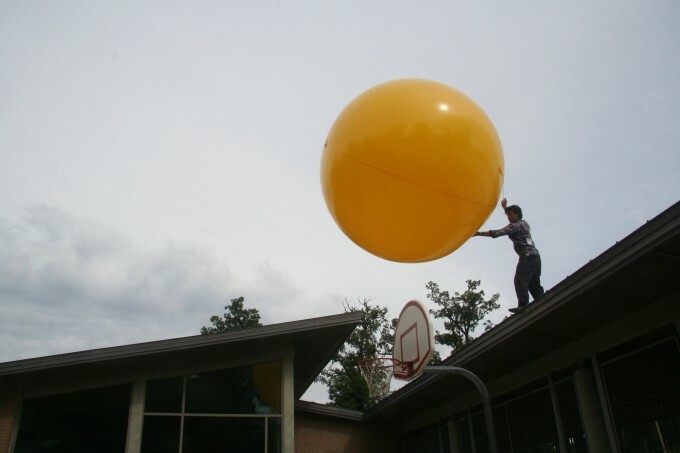 Continue reading about the ZS25 Yellow Balloon. Learn more about the artist Lee Freeman. October 5th, 2010 at 11:50 AM. 0 Comments. Share this post. After some balloon forensics and repair and a hiatus for Tropical Storm Nicole - the yellow balloon made a come back spending an afternoon at the Woodbourne Center and The Villages at Homeland (one of Ziger/Snead's first projects!). Also check previous posts for more images! October 5th, 2010 at 11:17 AM. 0 Comments. Share this post. We figured it was inevitable that at some point on its journey the Yellow Balloon would end up deflated. 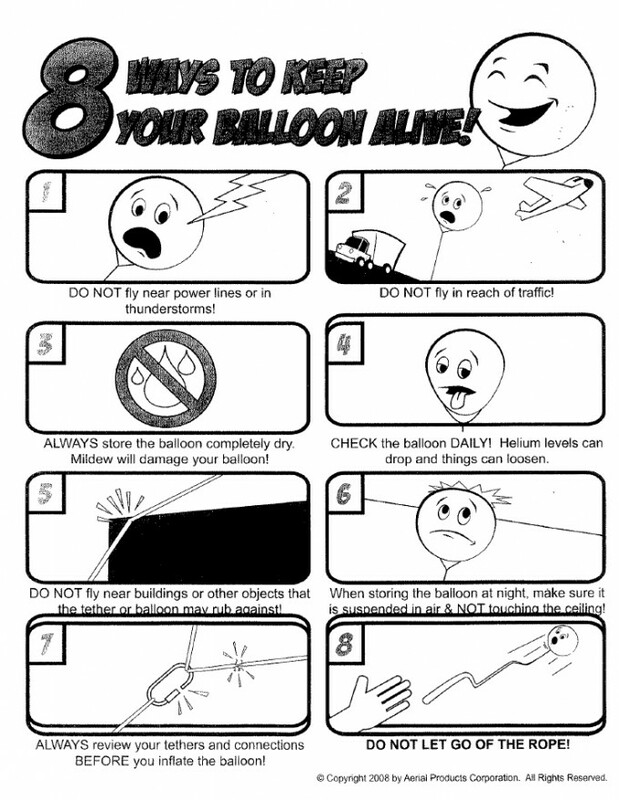 It happened... despite how hard we tried to follow these recommendations of "8 Ways to Keep Your Balloon Alive!". Good thing we have a back up! September 28th, 2010 at 10:27 AM. 0 Comments. Share this post. 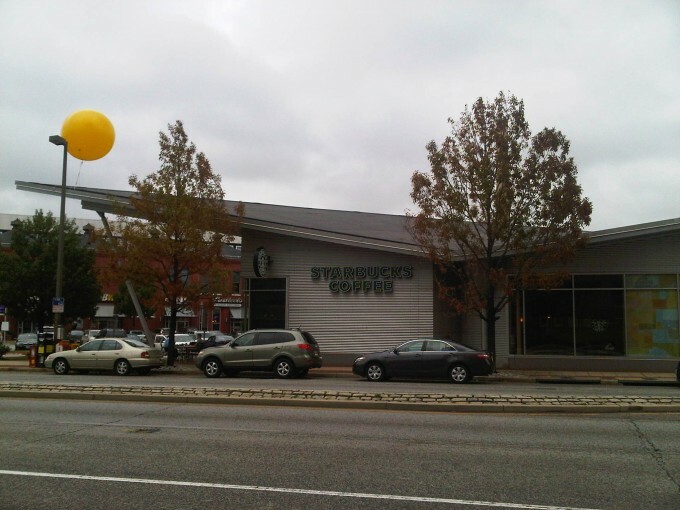 The Yellow Balloon spent a rainy day in Baltimore at the American Can Company Pad Site perched above the Starbucks entrance. September 28th, 2010 at 10:19 AM. 0 Comments. Share this post. The Yellow Balloon is peaking out over the balcony at the Frederick Douglas-Isaac Myers Maritime Park and Museum on Thames Street in Fells Point. It will be up all weekend so be sure to go see it and send your pictures to us. September 24th, 2010 at 12:12 PM. 0 Comments. Share this post. 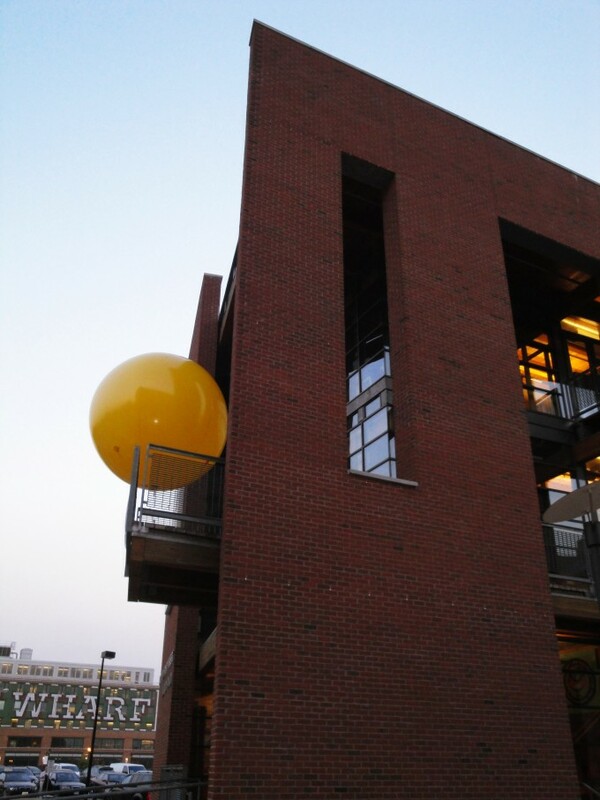 The Yellow Balloon is the highest it's been so far at the Johns Hopkins School of Public Health. September 23rd, 2010 at 2:56 PM. 0 Comments. Share this post. 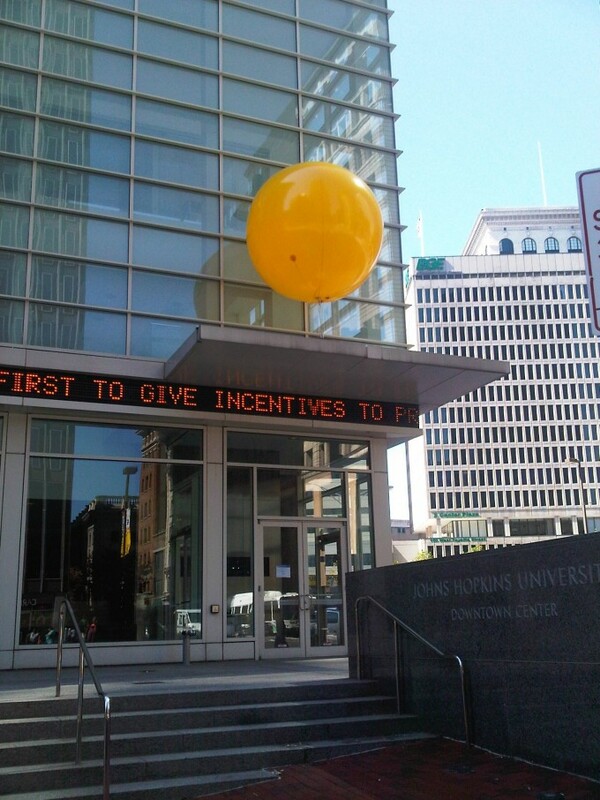 The Yellow Balloon is in the center of downtown again, just above the ticker at the Johns Hopkins Downtown Center. September 22nd, 2010 at 4:32 PM. 0 Comments. Share this post. 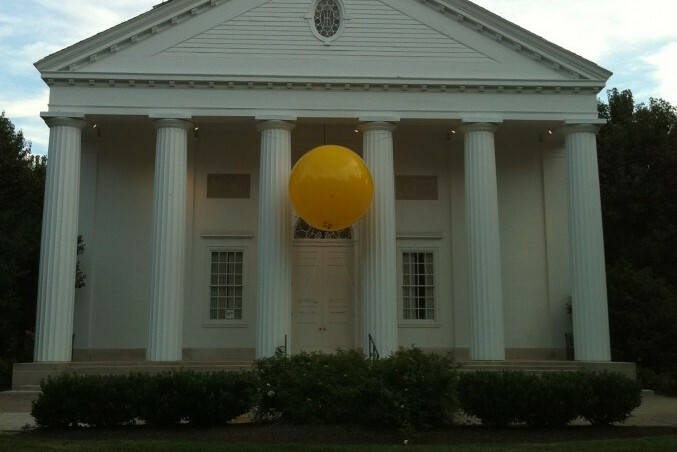 The Yellow Balloon spent the day perched above the entrance pavilion at the Maryland Historical Society. September 20th, 2010 at 2:29 PM. 0 Comments. Share this post. 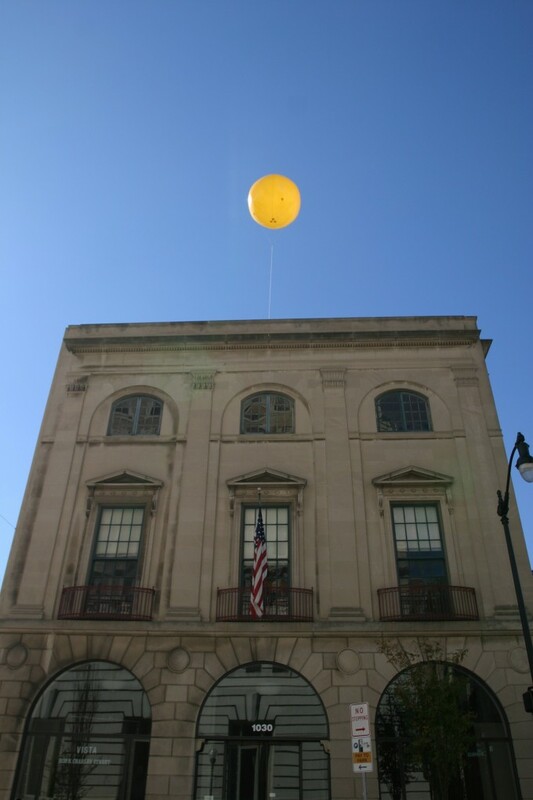 The Yellow Balloon is flying high over the former City Life Museum building, currently home to 1840's Ballroom. You should be able to see it driving down 83 into the City. September 17th, 2010 at 7:52 PM. 0 Comments. Share this post. 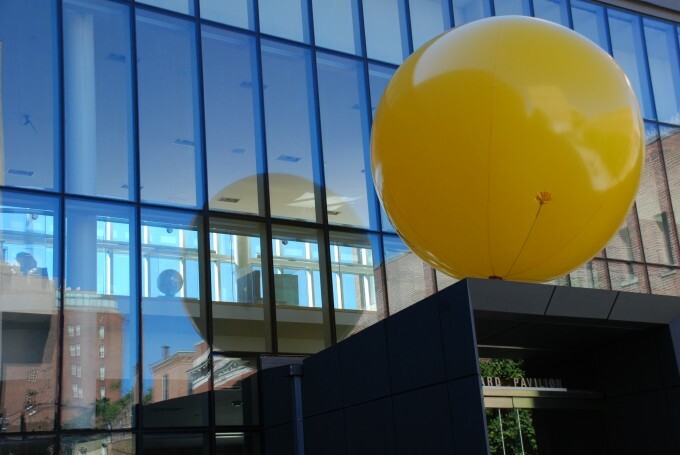 The Yellow Balloon continues its journey with a stop at CENTERSTAGE. September 16th, 2010 at 6:41 PM. 0 Comments. Share this post. 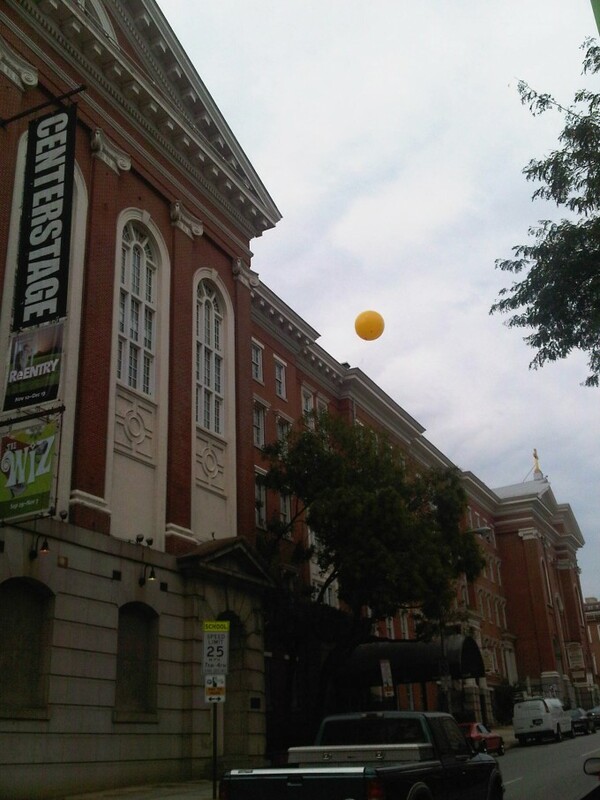 The Yellow Balloon made it's way around the block today to the Peabody Institute. 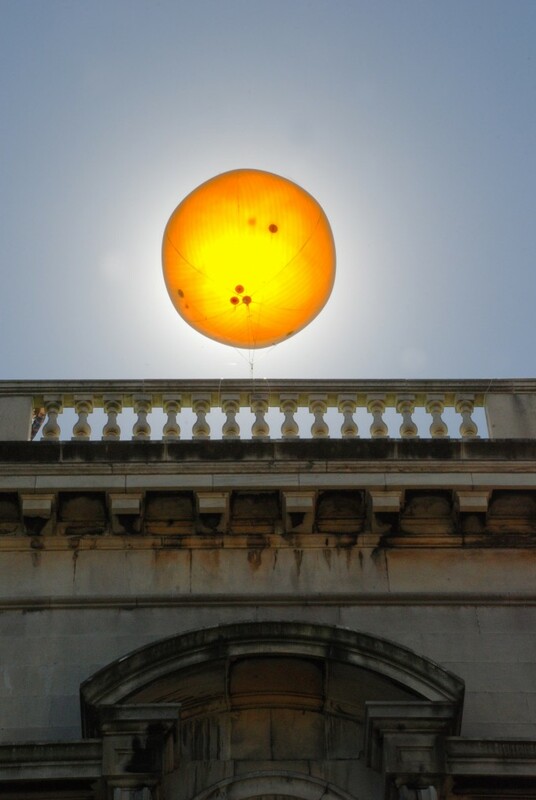 We happened to catch it at the perfect time to capture this beautiful image of the "balloon eclipse". September 15th, 2010 at 6:11 PM. 0 Comments. Share this post. 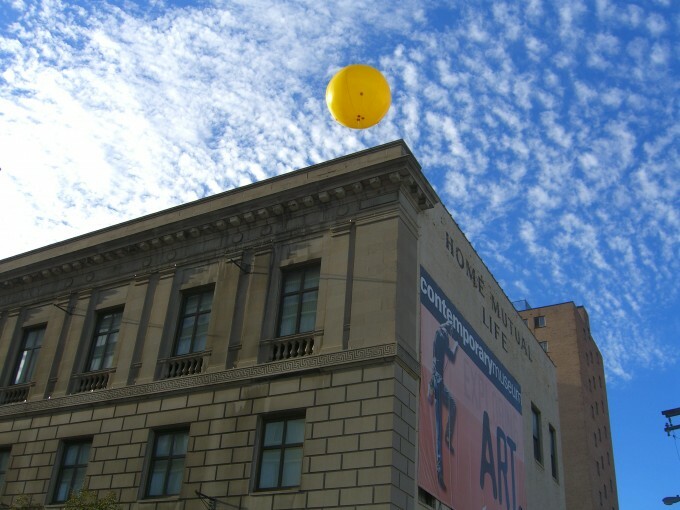 The yellow balloon has traveled to its next destination: the former Home Mutual Life Building now home to the Maryland Humanities Council and the Contemporary Museum. You can see it best looking east on Centre street from the Charles Street intersection before the monument. September 15th, 2010 at 3:36 AM. 0 Comments. Share this post. 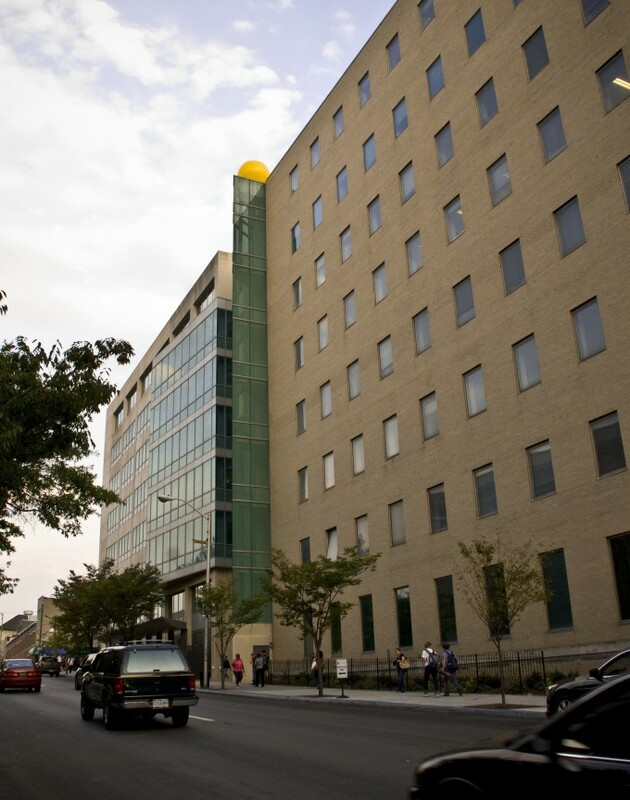 The yellow balloon survived a windy day in Baltimore on the roof of the MICA Brown Center suffering only a few minor injuries. After some attention to its wounds, it took it's first trip by car uptown to the Second Presbyterian Church in the Guilford neighborhood where it is suspended between two columns. It will be there until Tuesday morning. September 13th, 2010 at 1:14 AM. 0 Comments. Share this post. 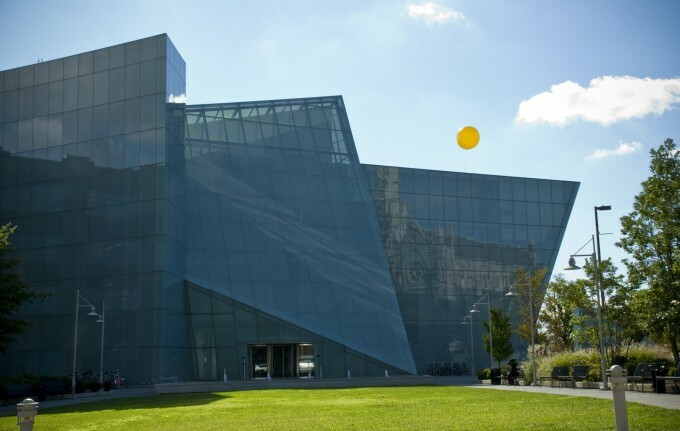 After its unveiling at last night's Opening Reception at the AIA Baltimore Gallery, the Yellow Balloon was launched in the air today for the first time at Maryland Institute College of Art's Brown Center. Have you seen it? What do you think? Have pictures? Send us them. September 10th, 2010 at 4:40 PM. 0 Comments. Share this post. How does architecture affect you? The City? The Environment? These are questions architects at Ziger/Snead have been challenged by for the last 25 years. And looking back, we wonder how have the buildings we've designed impacted the life that happens in and around them? How do those buildings impact the City at large? How will architecture impact the future of the City? September 9th, 2010 at 4:14 PM. 0 Comments. Share this post.